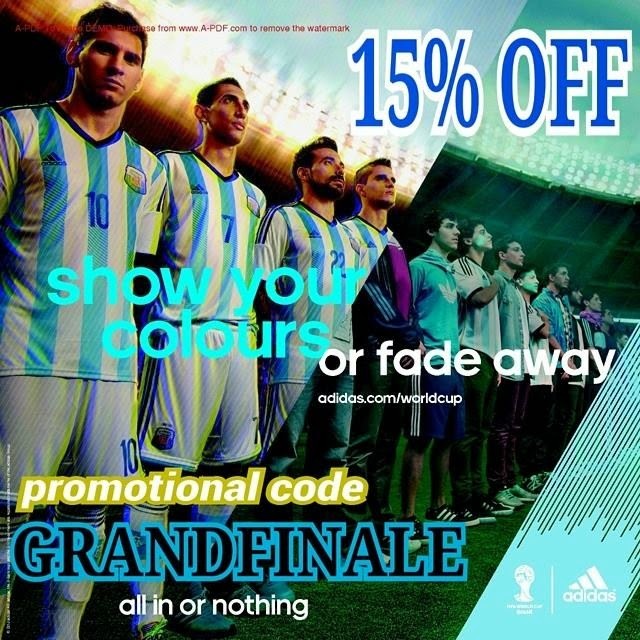 With the FIFA World Cup which is currently ongoing in Brazil that is gripping the global attention, this humble little blog is honoured to have an exclusive tie-up with the tournament official match ball supplier - Adidas, by offering discounts and promotions on World Cup and football merchandise on the Adidas e-commerce store during the event. Please note that exclusive offer(s) is/are only valid during the match duration of selected matches or particular time slot (as advised) during the World Cup. The time has come to Lionel Messi to etch his legacy on the world's biggest stage when #Argentina are set to take on #Germany in the World Cup final (kick off at 0300hrs 14th July 2014 - Singapore Time). From now until the end of the final, get 15% off all Adidas football merchandise, including the Messi f50 battlepack boots! 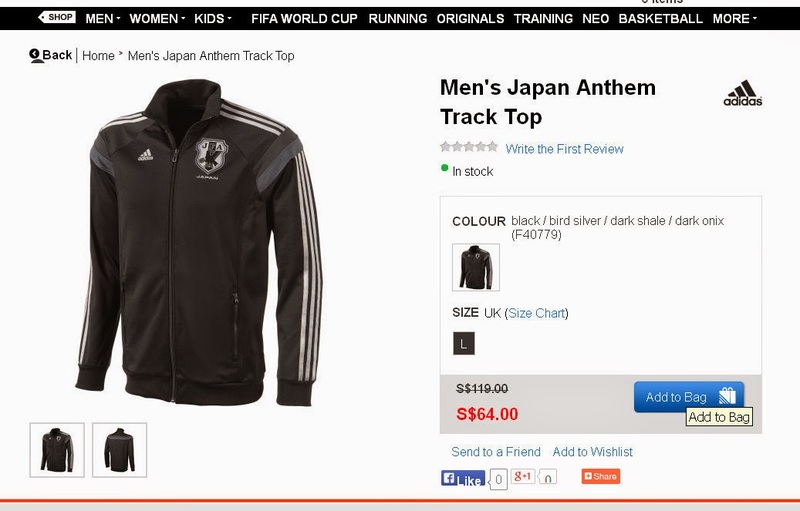 Please log on to the mentioned adidas Webstore (as depicted below). 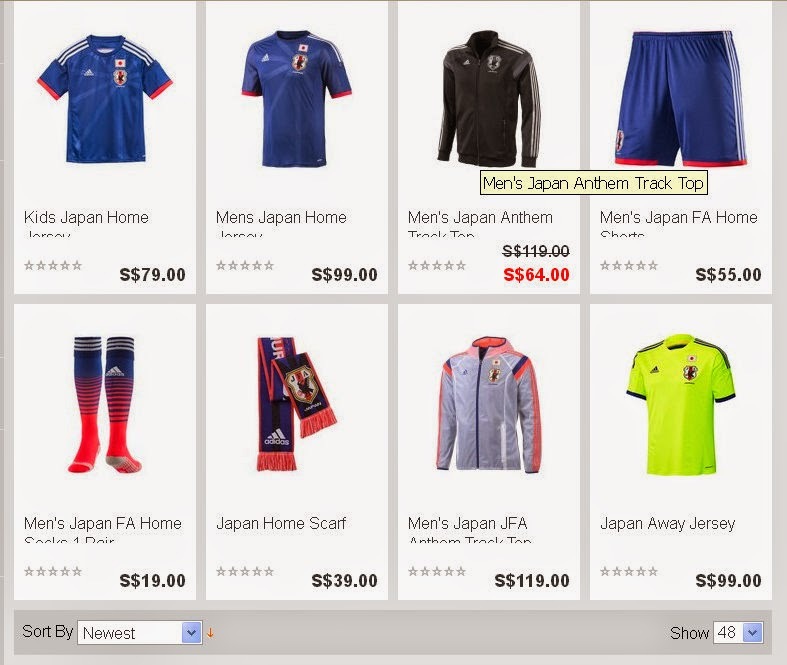 For example, you selected the "Men's Japan Anthem Track Top" (below) and then "Add to Bag" (the light blue button on bottom right of the screengrab) before you being prompted to "CheckOut". 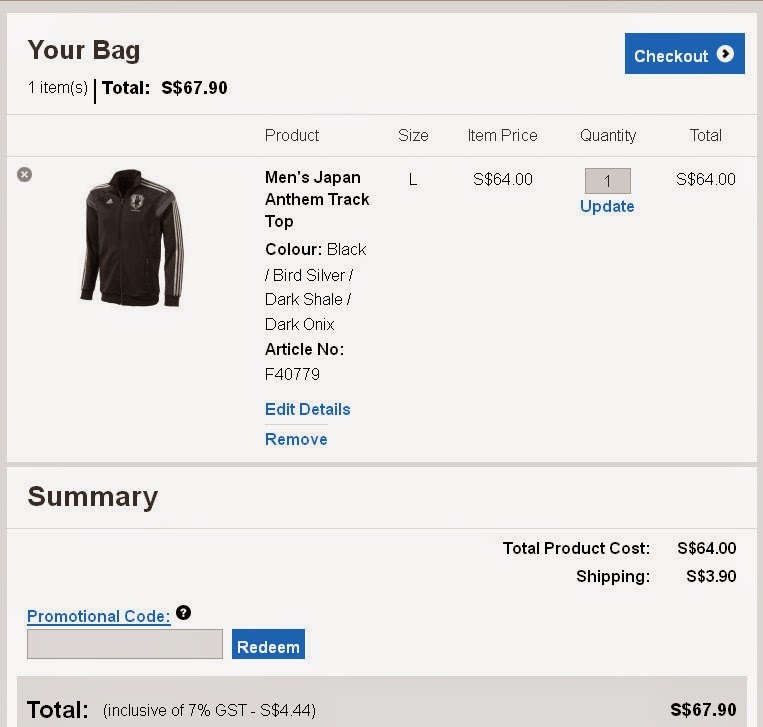 Upon "CheckOut" from the earlier page, you will be led to the page below where you are required to key the relevant promotion code inside the "Promotional Code" box (shown at the foot of the screengrab below) before you hit "Checkout" blue button to complete the process or continue your shopping. Please note that the each promotional code is only meant for one transaction at a time and is only valid during the match duration of selected matches or particular time slot (as advised).